Decisions of the head or heart? Free speech and whistleblowing are rights that must be balanced against the rights and reputation of others, including children and the school itself, says Richard Bird. 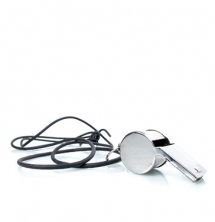 The row in the National Health Service (NHS) over patient care and the role played by victimisation for whistleblowing has made confidentiality in public services a controversial issue. It includes the private right to confidentiality and the duty of confidentiality that rests on the implicit contractual obligations of an employee. The duty generally invoked in employment is not to reveal trade secrets but in a school or college context, it more often arises from the duty not to damage the employer’s interests or to preserve the confidentiality of students. “I was correct in my assumption the poor woman had not been told; she had been given an accident sheet via C which stated C had an accident in the playing field with a skipping rope hurting her arms and legs.” (She was not, of course) and the next day hand-delivered a copy to the head’s secretary with six copies for the governors. The following day she was suspended. Shortly afterwards, she contacted the local press to tell them that she had been suspended, that it involved a child and to contact the parents for further information. This led to national and international media coverage unfavourable to the school. Mrs Hill won at an employment tribunal because of a series of errors by the school that amounted to unfairness. However, the tribunal imposed a deduction; that is to say, they decided that even if the process of dismissal had been fair she would have lost and they deducted most of her award. Why? Mrs Hill claimed unfair dismissal and protection for whistleblowing. Does whistleblowing include telling a parent the details of the bullying that their child has suffered when it seems that the school is covering it up? Or is it “’blameworthy’ as being in breach of a duty of loyalty/confidence, contrary to the staff handbook, training and expectations of the post, and… in fact resulting in the press interest which lowered the reputation of the school” as the tribunal seemed to believe? The best explication of the foundations of public interest disclosure is from the European Court of Human Rights (ECHR), which ruled, “The courts are… mindful that employees owe to their employer a duty of loyalty, reserve and discretion. In the light of this duty, disclosure should be made in the first place to the person’s superior or other competent authority or body. It is only where this is clearly impracticable that the information can be disclosed, as a last resort, to the public. The employment tribunal considered that in imposing a confidentiality policy the school was not guarding “the interests of an inanimate public institution but the real children, staff and parents who populated and frequented it” and was entitled to exercise a reasonable control over the flow of information. The tribunal also concluded that the disclosure to the press had not been in good faith but motivated by hostility towards the head.